I read this quote about volunteers sometime back on a website and the next moment I was drawing this cartoon! 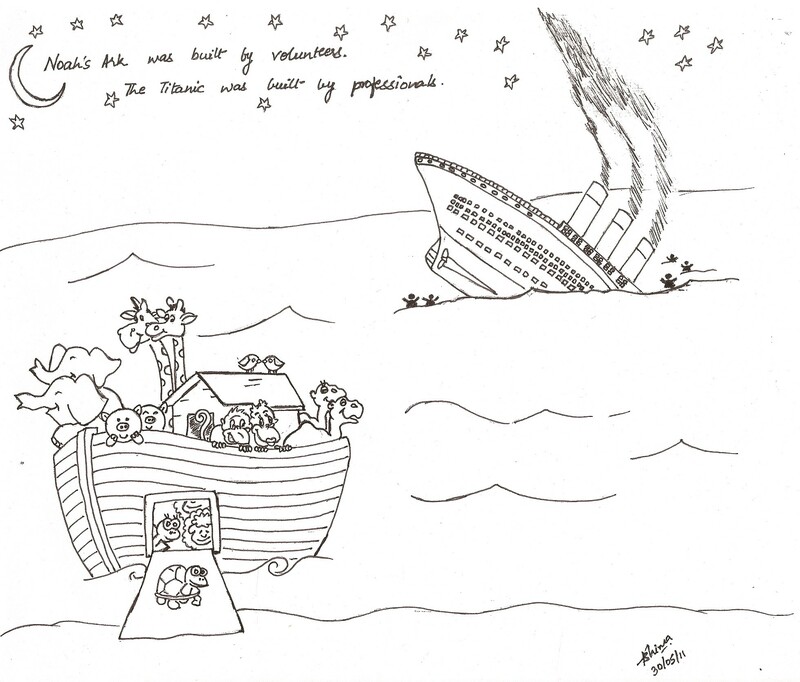 This is my very first attempt at cartooning and though I took the arc and the animals and the titanic from different places, I really like the end result ; therefore sharing with all. That’s an interpretation! But Noah’s arc was still a voluntary effort even if it was to save themselves… The designers of Titanic were also on board the first voyage! Well, Titanic was still a voluntary effort even if it was to make money… 😉 … unless they used slave labour in those days … did they?? They paid the ones who built it!